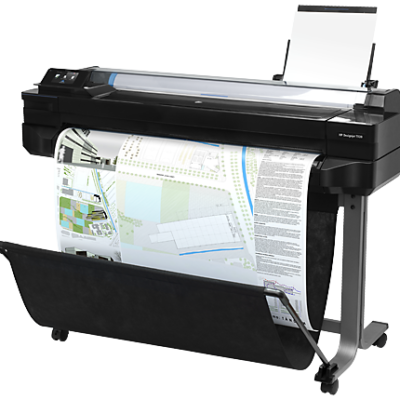 HP Designjet T520 A1 is designed to fit your office – and the way you work – this compact printer makes it easy to print architectural designs, maps, photos, and presentations with sharp detail up to 2400 dpi. Print easily from a smartphone or tablet with HP Mobile Printing. 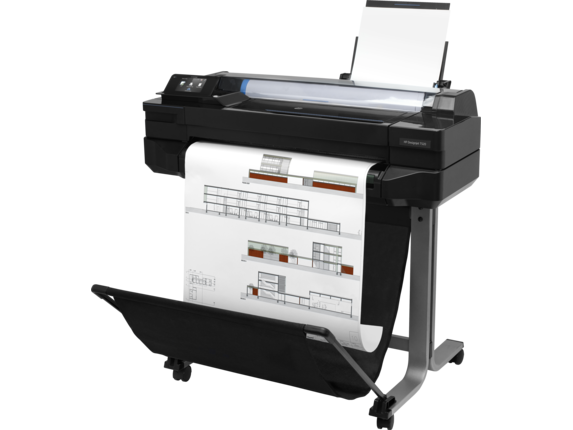 Small AEC teams who need to print large-format documents and CAD drawings, print remotely and network a small office. 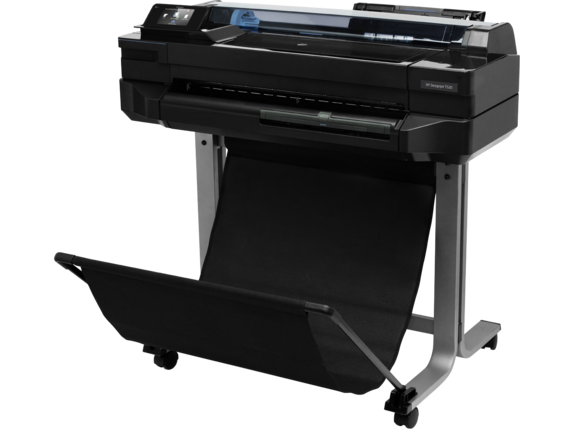 The professional look and feel of this printer are designed to complement your workplace. Produce a range of applications including architectural designs, maps, photos, and presentations. 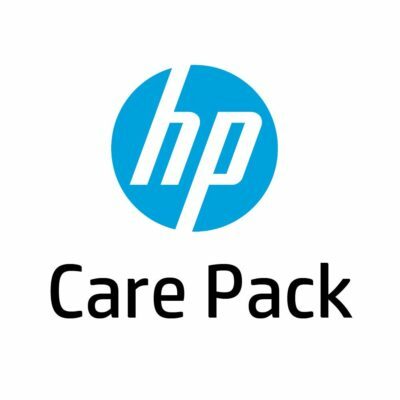 Save time and money – Original HP inks deliver accurate, quality prints the first time, every time. Easily print project sets and PDF documents with HP Click printing software. Move this printer any time, any place – with Wi-Fi connectivity, all you need is a power plug. 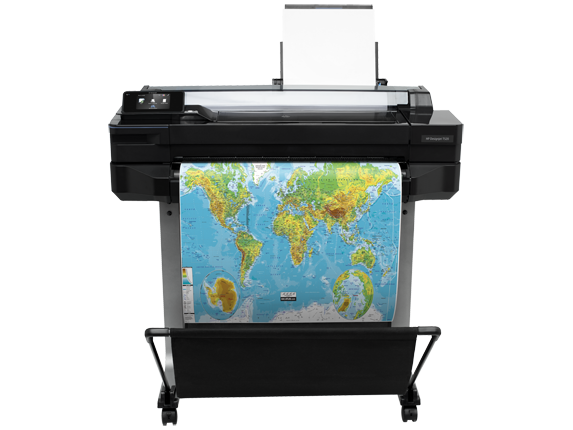 The intuitive, full-color touchscreen simplifies navigation and printing. Easily set up your printer and connect everyone in your workgroup, thanks to built-in Wi-Fi. Get HP DesignJet quality in small-format sizes – print half-size technical documents with the A4/A3 input tray. 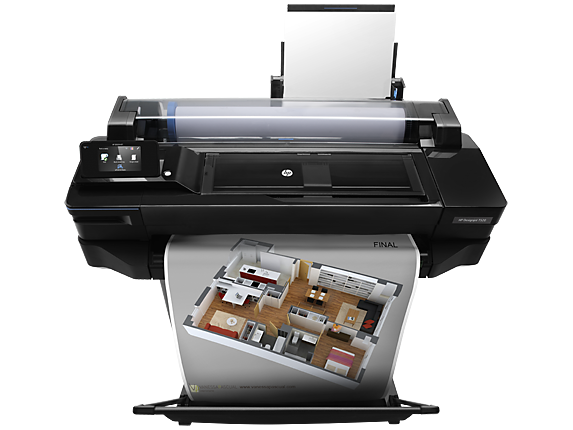 Access and print projects when you’re away from your workplace, using HP Designjet ePrint & Share. 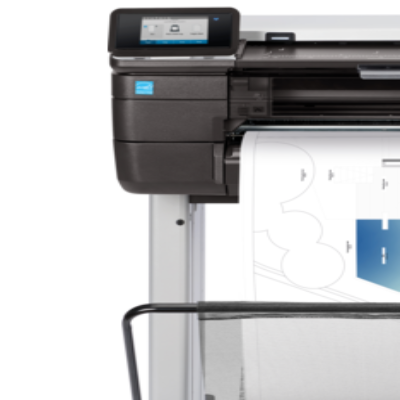 Join the hundreds of thousands of users who trust HP DesignJet T520 Printers for outstanding print quality. 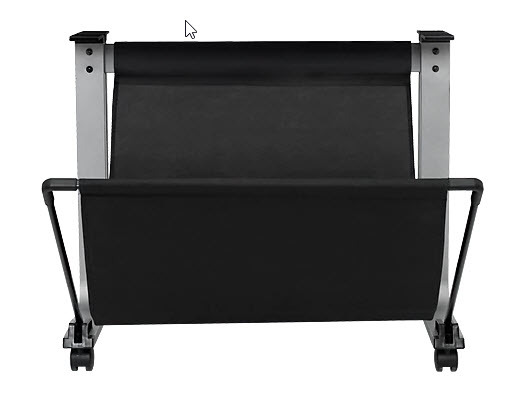 Email projects to your HP Designjet T520 ePrinter and print, via its Web connectivity features.